When Alana and I met at our local coffee shop Antz Inya Pantz to discuss her new business venture and all the new branding to come with it, it became quite clear that all the design inspiration for her brand was right in front of us – good coffee and a newspaper! 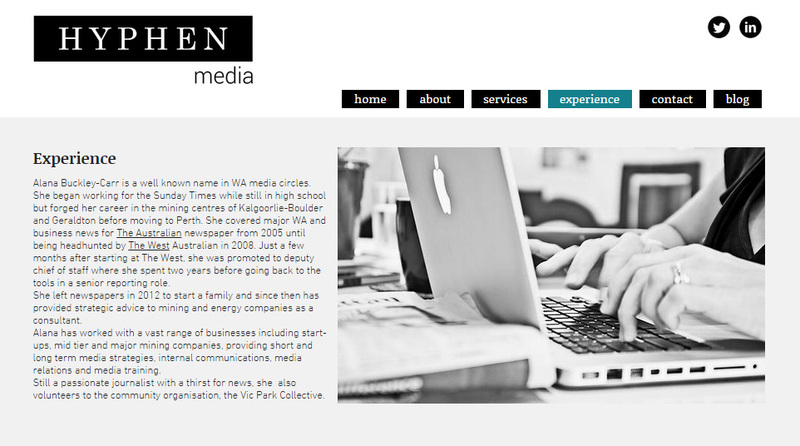 Alana’s background in journalism meant she had a soft spot for ‘newspaper font’ and black & white. 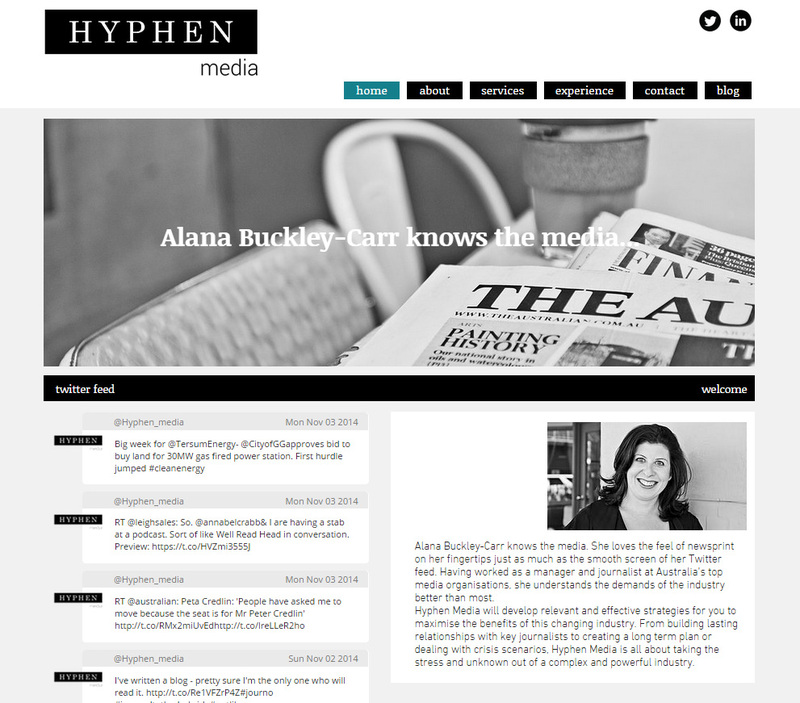 The business name, Hyphen Media, came from her infamous hyphenated surname Buckley-Carr. And Alana just really likes coffee. 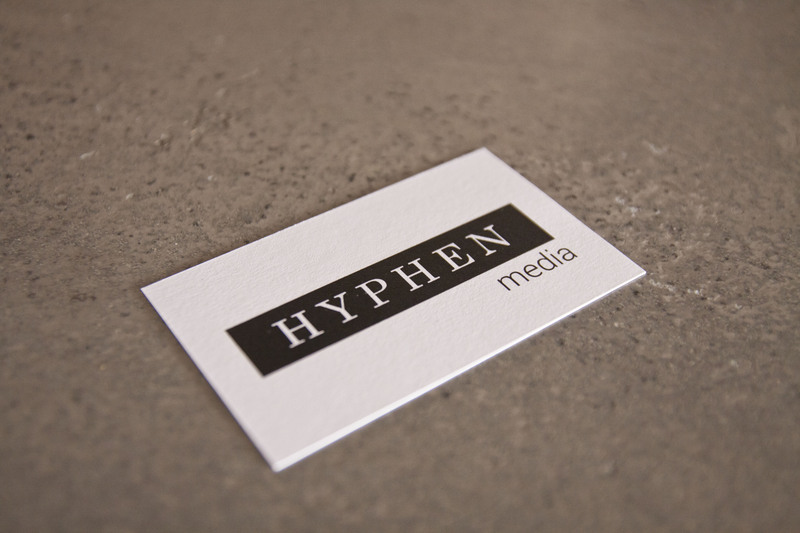 So that’s how the design for Hyphen Media came about. 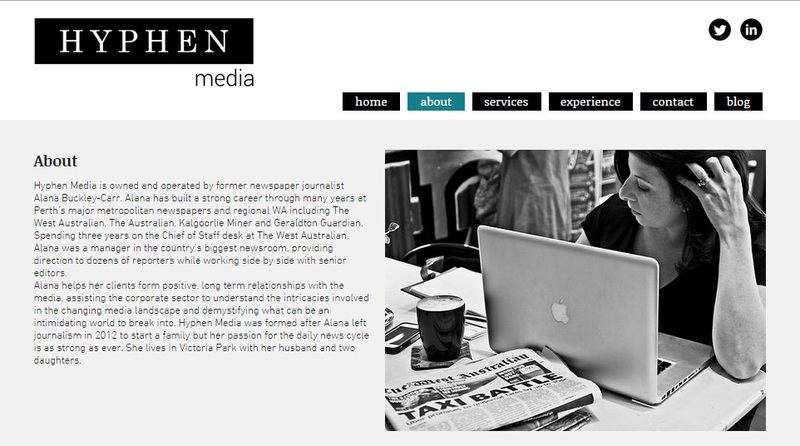 Along with it came a website which was complimented by some black & white photography of Alana doing some work at Antz like she often does. 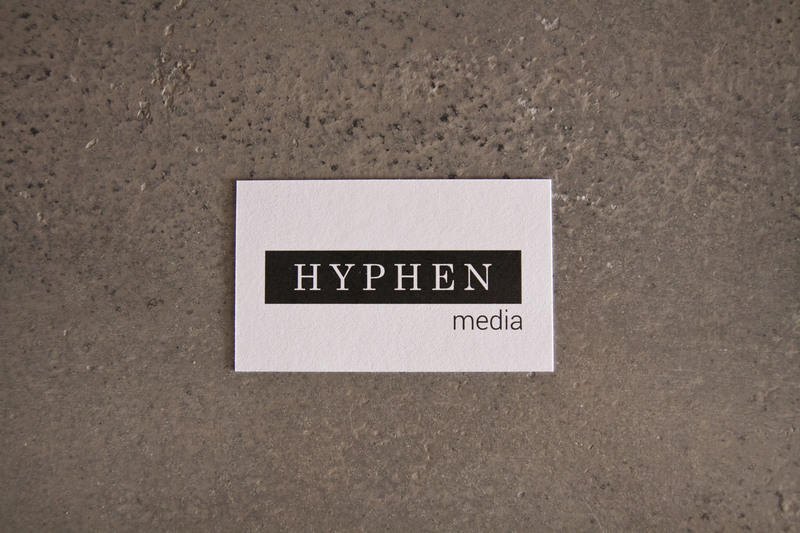 It all fell together in synergy. I was quite chuffed that I could provide Alana with everything she needed! 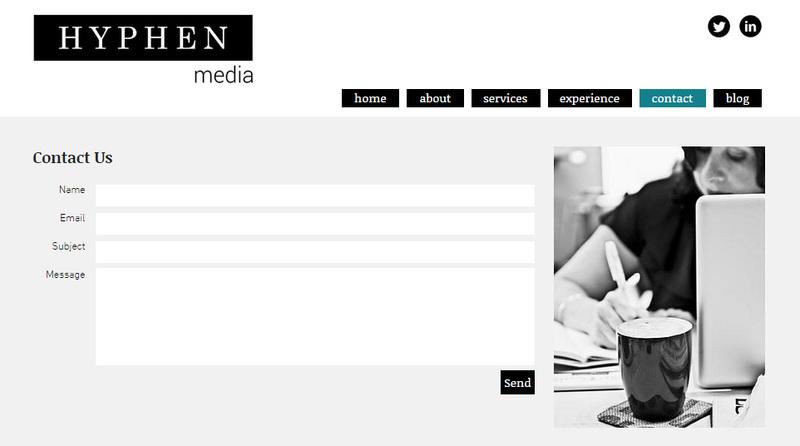 Here are some snapshots from the website design. 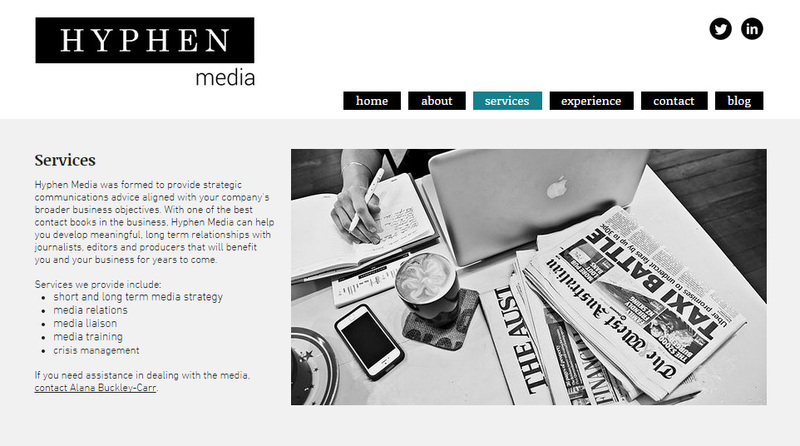 The homepage includes a slideshow of images and then more are scattered through the rest of the website.